You are here: Home / animals / Spring Into Feng Shui! 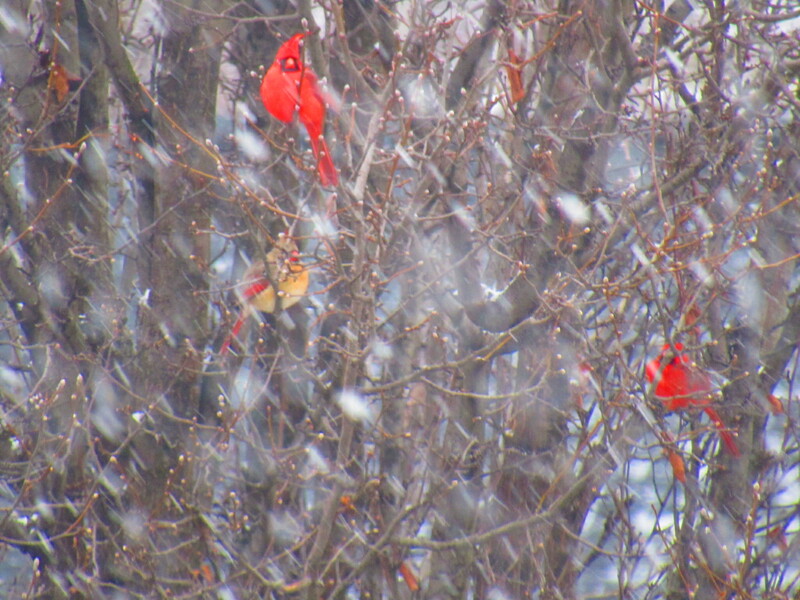 I love spring and it’s new beginnings but have so loved the contrast of the cardinals that spend their winters in my trees and at my feeders. No matter what, Mother Nature is always painting me beautiful pictures and bringing me beautiful music year round. Sometimes, however, I find myself caught up in the conundrum of work and no play and forget that the healing songs in winter can sometimes be the most impactful. We take these healing songs for granted during the warmer months as these sounds and color contrasts are all around us. We expect it. In winter, especially late winter as we are now, they become precious to me as I am anxious for warmer weather and the promise of a fresh pallet of colors growing into a new cinematic picture of beauty. This cements my knowing that feng shui is not about balance. It is about change. Many see this discipline of feng shui as keeping balance in one’s life. I see it as making life more interesting because applying feng shui to our lives gives us new pictures to admire and new music to enjoy. Learn more about how to apply feng shui to your life by joining our Free Content Library where each month you will have access to free education on how to use feng shui in your home and workplace and get free e-books for your own personal library. We set up bird feeders this spring and have had a colorful variety of birds visiting them. Our little itty bitty birds love bird feeders close to where their “hidden” nurseries are so they don’t have to travel too far from the babes.